Recently I found a post on Luxrender's forum where this person (A-man) shows how to create lego-built-looking structures out of any mesh. Great technique in blender, by using the snap to grid in combination with dupliverts or particles. The use of particles allows for variation in color. 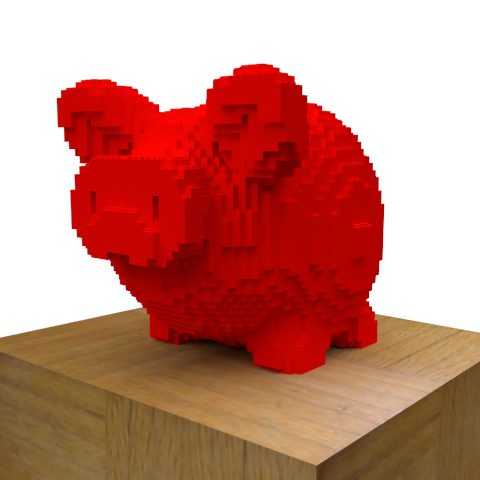 This technique is easily reproducible in Cheetah3D. Here is the result. I added an extra shape for the round part of a lego piece. If you could make a video tutorial showing how you did this would be awesome.